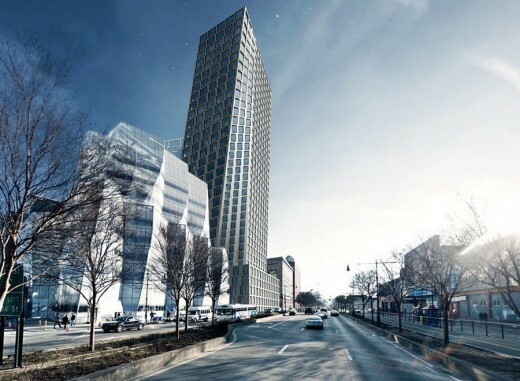 Foundations for this pair of slanted towers designed by feted Danish architect Bjarke Ingels are now completed. The pair of high-rise buildings at 76 Eleventh Avenue are for developer HFZ Capital. They are located near the High Line between West 18th and 17th Streets. 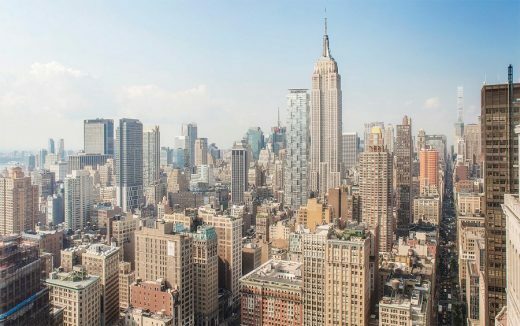 The first American location for Six Sense Hotel and spa will open in the 25-story east tower, occupying the third through tenth floors. Two hundred and forty condominiums will sit on top. 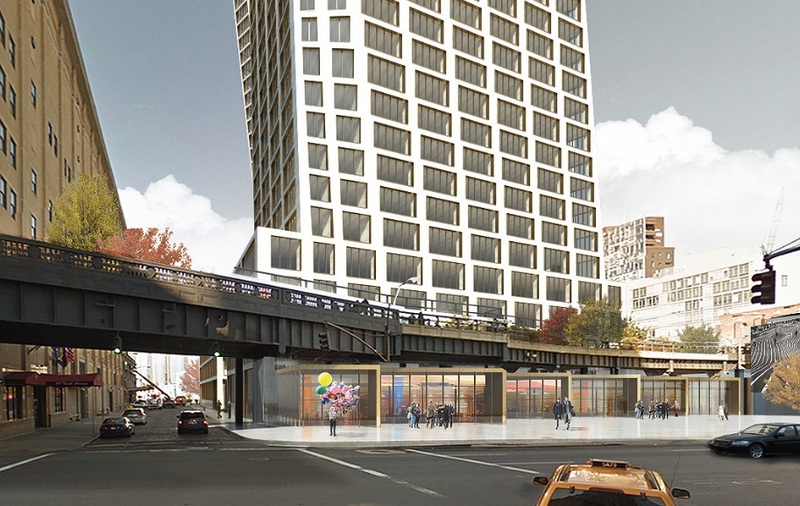 The west tower, rising 34 stories, will feature residential units only. Amenity-filled podium bridges are to connect the pair of buildings. 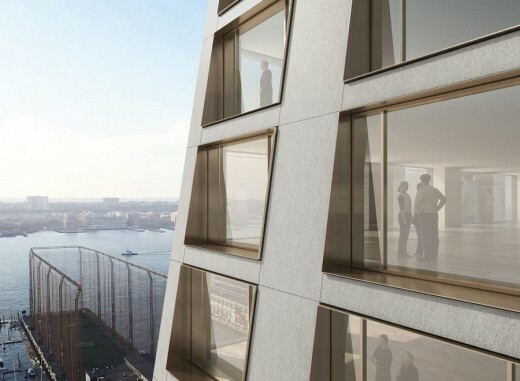 The latest renderings for the Danish architect’s Chelsea buildings have glass skybridges. 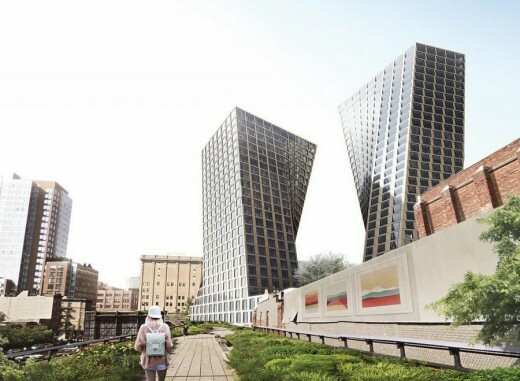 HFZ Capital and Bjarke Ingels Group are set to transform the area around the southern end of the High Line with the duo’s collaboration at 76 Eleventh Avenue, reports curbed.com. 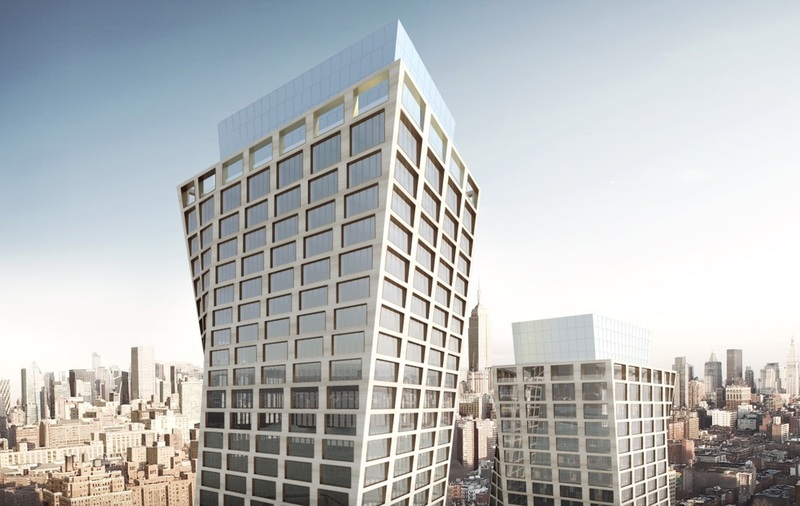 Two designs for the pair of buildings have been revealed so far: the first had two twisty towers, the second was more pared down. The two images revealed now show a refinement of the more subdued renderings that appeared earlier in 2016. Both buildings will be topped by glass crowns; the towers are connected by glass skybridges, which will sit relatively low to the ground. Construction work is already happening at the site with completion due sometime in 2019. Location: block between 17th & 18th Streets and Tenth & Eleventh Avenues. 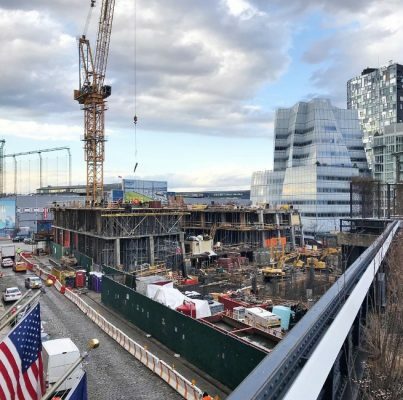 76 Eleventh Avenue is being developed by HFZ Capital. Building use appears to be either as hotel or office. The bases would include retail and hotel space. The two towers will be 28 and 38 floors, the tallest being 402 feet high. 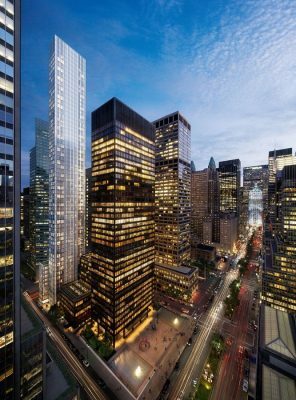 There will be 260 condominiums on the upper floors of the 76 11th Avenue project. The base will hold 85,000 square feet of retail space, as well as 130 hotel rooms, and 100 parking spaces. HFZ purchased the site in April 2014. Completion is due to occur in 2018.